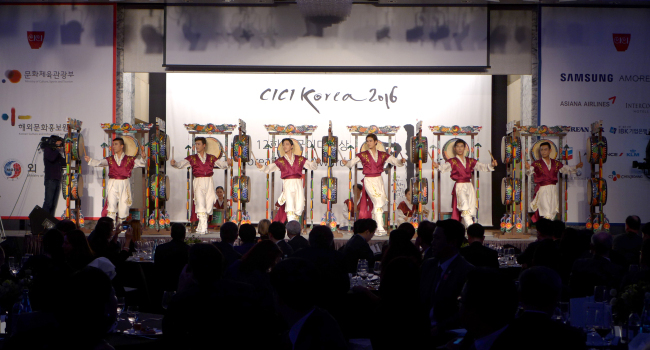 At the Corea Image Communications Institute’s annual award ceremony last week, which honored individuals who have popularized Korean culture worldwide, over 60 foreign ambassadors and diplomats engaged in an evening of cultural diplomacy. 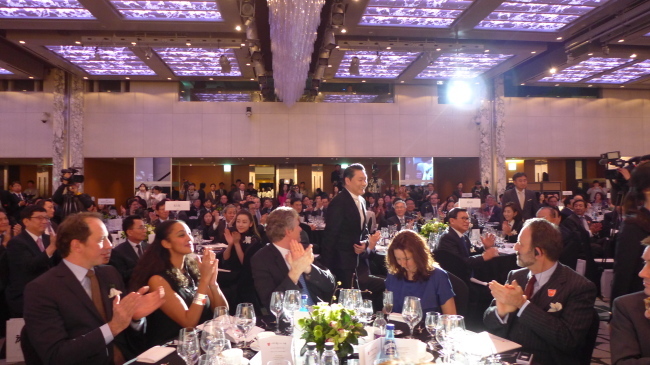 “It didn’t happen overnight,” she stressed, in front of some 600 guests ― envoys, politicians, actors and actresses, musicians, scholars and businesspeople ― at the Intercontinental Seoul Coex on Tuesday. At the venue, Korean singer Psy, violinist Clara Jumi Kang and talk show “Non-Summit” panelists Alberto Mondi, Tyler Rasch, Guillaume Patry and Zhang Yuan received various accolades for bringing Korean culture to global audiences. Psy argued that hallyu’s strength is its “attentiveness and boldness,” adding that he would use traditional Korean musical instruments in future repertoires. French Ambassador Fabien Penone told The Korea Herald that K-pop, TV dramas and video games were increasingly becoming “trendy” in France, particularly among young people. There is a sharp increase in demand for Korean language education, reciprocated by more and more French students coming to Korea to study. 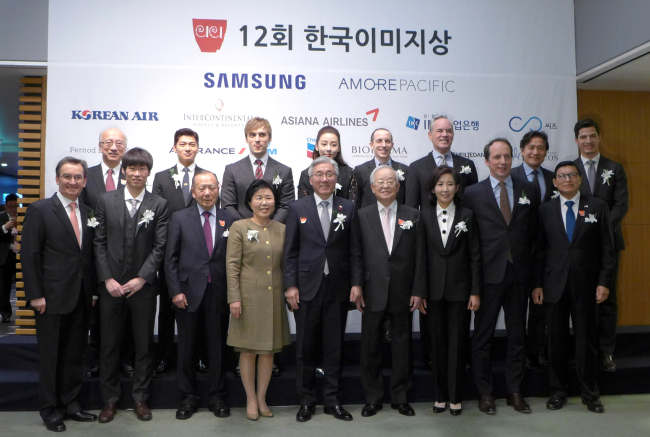 “France and Korea have many cultural commonalities across traditional and modern areas. We are lovers of great food, fine arts, exhibitions and shows,” Penone claimed. Highlighting this year’s 130th anniversary of diplomatic relations between France and Korea, the envoy said the embassy would host over 100 events from March to December, showcasing French gastronomy, music, theatre, ballet, animation and digital technology. Acknowledging that extensive state intervention in cultural production could distort artistic essence, the ambassador underlined that “a balanced approach” should be taken to harmonize public interests and the freedom of expression. Foreigners are fascinated by the role Korea has played in bridging the cultures of China and Japan, Fryer explained, indicating that the country has found “a strong and unique voice” through K-pop, TV dramas and cinema. Noting that both Britain and Korea have thriving cultural industries, he said harnessing the creative arts requires strategic government backing and a healthy education system, from which the industry could siphon off raw and rare talents. Irish Ambassador Aingeal O’Donoghue said that Korean cuisine and K-pop are becoming more visible in Ireland, while the classical music and traditional literature could be recognized more. Korean fashion shows are held in Dublin and traditional Irish music is showcased in Korea, and Korean films have premiered at the Dublin International Film Festival in tandem with Irish movies at the Busan International Film Festival, O’Donoghue added. “Korean dramas, both historical and modern, are enjoyed in Malaysia through paid channels such as KBS, and celebrities like Big Bang, Suzy from drama ‘Dream High’ (2011) and rock band CNBLUE are beloved,” she said. Prasetio, who is “close friends” with Korean trot singer Tae Jin-ah, 63, highlighted that veteran performer’s son, singer Eru, had become a sensation in Indonesia and across Southeast Asia. 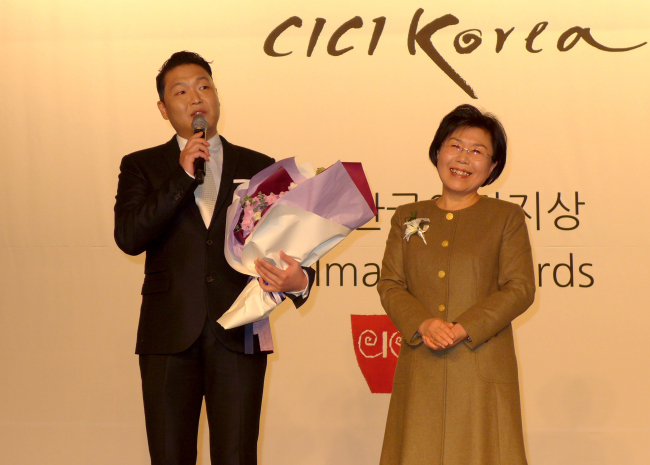 Both Tae Jin-ah and Eru have performed at the embassy on different occasions, in front of “grooving” Indonesian audiences, the ambassador noted.